Westroad: Kiosk & J. 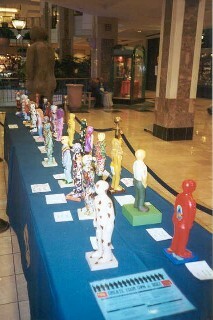 "Doe on Parade"
"Kiosk & J. Doe on Parade"
The tabletop "J. Doe on Parade"
"Kiosk", December 6th thru 9th. 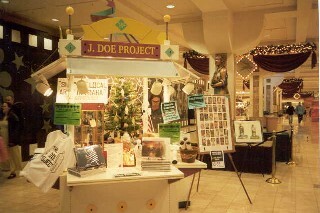 the J. Doe On-line Store. Left: "J. 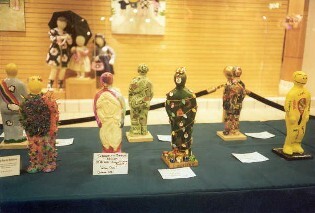 Sand Does" is at head of the "J. Doe on Parade"
"Create a doe" kit in the "J. Doe on Parade". 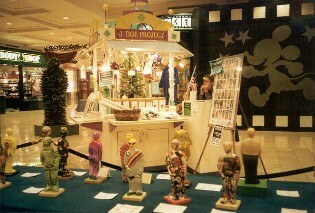 The "J. Doe on Parade" is in font of the Kiosk. "Spikey Doe" is right of the Kiosk. I used appeared to be balanced for flash, daylight or florescent lights use.